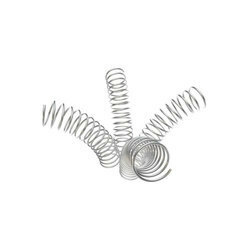 Our product range includes a wide range of compression spring, flat compression spring, micro compression spring, industrial compression spring, mini compression spring and flat wire compression spring. We are instrumental in offering our esteemed clients a sustainable range of Stainless Steel Compression Springs. These springs are helical springs that are open-wounded and when compressed they exert a lot of force. They may be conical, concave in form, cylindrical, barrel-shaped, and with ends left ground or plain. Moreover, our patrons can avail these optimum grade springs at a market-leading price. 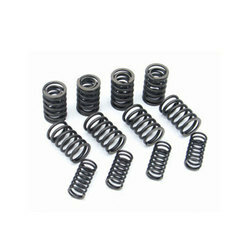 We are widely acknowledged by a large number of clients for offering quality-assured Flat Compression Spring. These are appreciated extensively by the users due to its flawless finish and optimality. Furthermore, these offered products can be availed at a market-leading price. With an aim to stand tall on the expectations of patrons, we are engaged in offering Micro Compression Spring. These quality-approved products have greater strength and ability to operate smoothly in high-pressure conditions. The products we offer are manufactured under proper supervision and guidance of professionals. 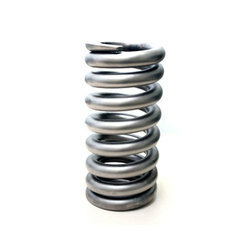 We are offering our clients with a quality-approved range of Industrial Compression Spring. 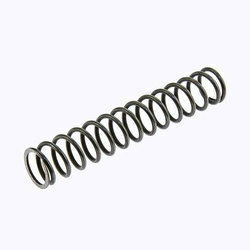 These springs are widely demanded and appreciated by our respected clients due to their high-efficiency and durability. Apart from this, the products we offer are packaged in a highly safe and durable pack to avoid any defect and provide our clients with the optimum-grade final product. 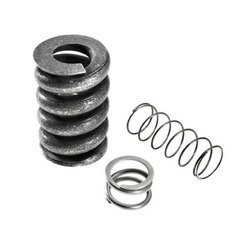 We are a trusted organization engaged in catering to the variegated requirements of the clients by offering optimum quality Mini Compression Spring. These seamless finished products ensure high durability and everlasting optimum performance. Products we offer are manufactured using high-grade raw material, which is sourced from the most authentic vendor from the industry. 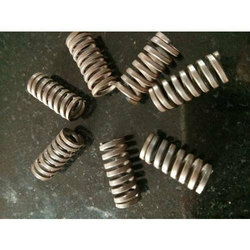 We offer Flat Compression Spring such as Stainless Steel Compression Spring, Flat Compression Spring, Customized Compression Spring, Industrial Compression Spring and Mini Compression Spring from India. We are instrumental in offering our esteemed clients a sustainable range of compression Springs. These Compression springs are helical springs that are open-wounded and when compressed they exert a lot of force. They may be conical, concave in form, cylindrical, barrel-shaped, and with ends left ground or plain. Moreover, our patrons can avail these optimum grade springs at the market-leading price. Looking for Compression Spring ?